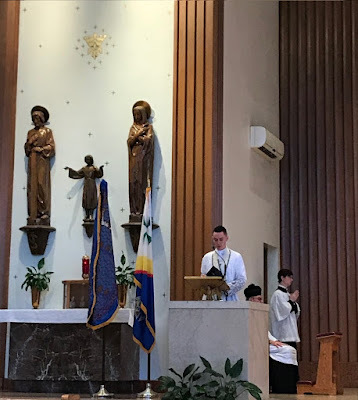 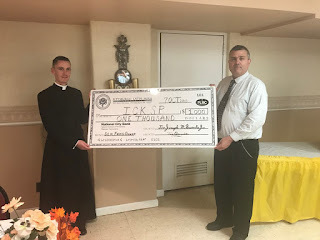 The Knights of Columbus Woodlawn Council 2161 announces the award of a $500 scholarship grant to Subdeacon Justin Ong, who is studying for the holy priesthood with the Institute of Christ the King Sovereign Priest. To date, Woodlawn Council has awarded $10,500 to traditional seminarians studying with the Institute of Christ the King Sovereign Priest and the Priestly Fraternity of Saint Peter. 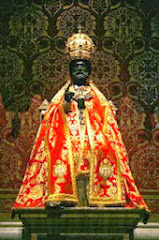 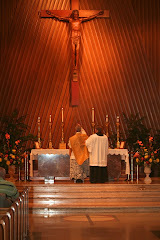 3rd Sunday of the month at 12 noon at St. Titus Church. 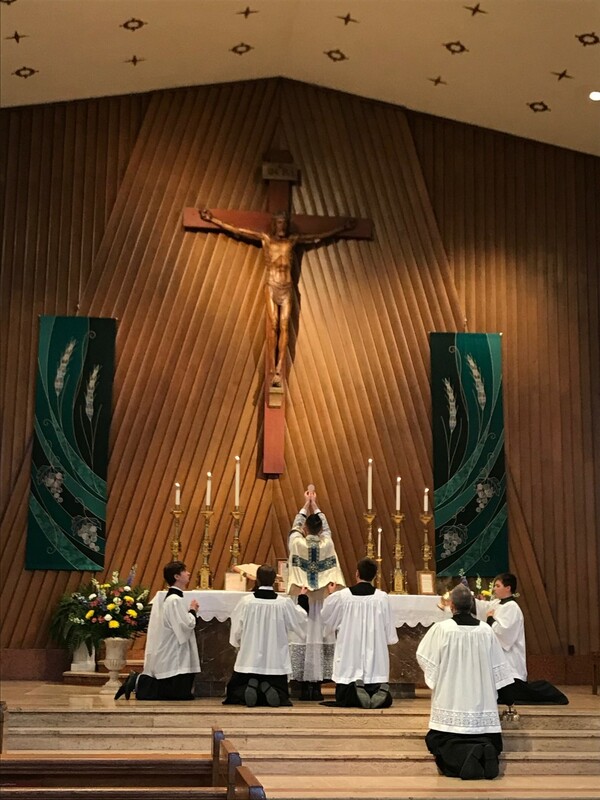 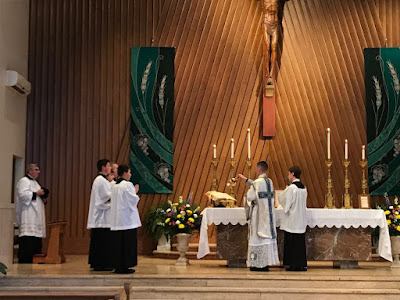 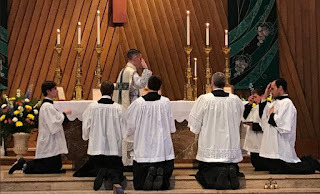 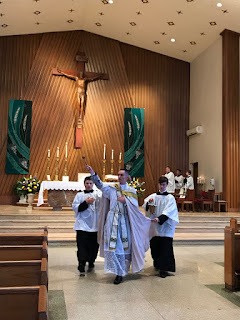 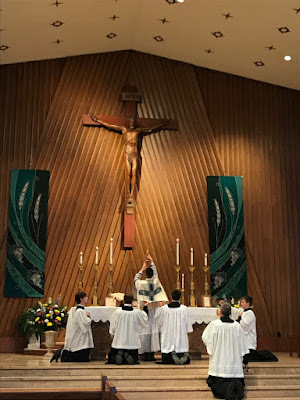 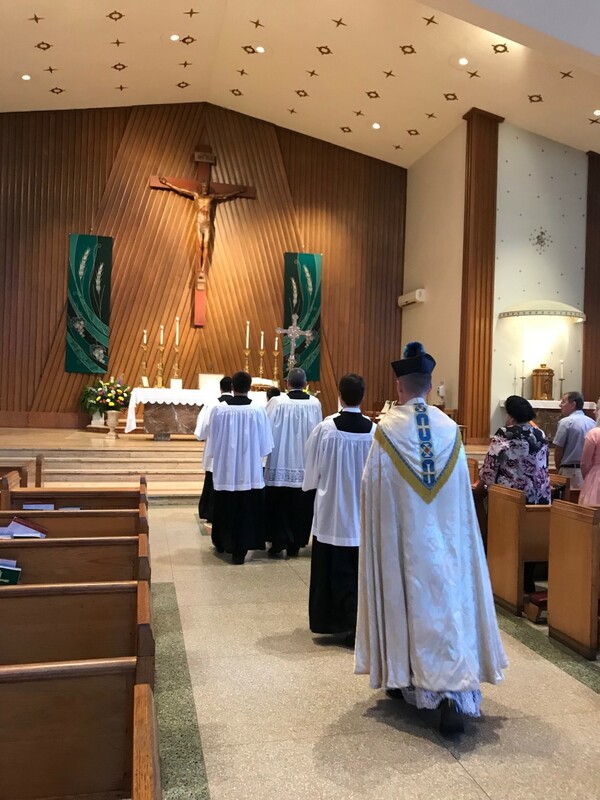 See the complete 2018 schedule of Sunday Traditional Latin Masses here. 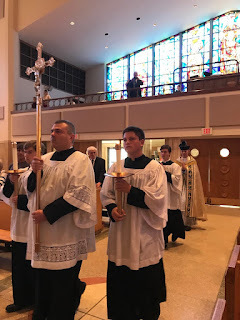 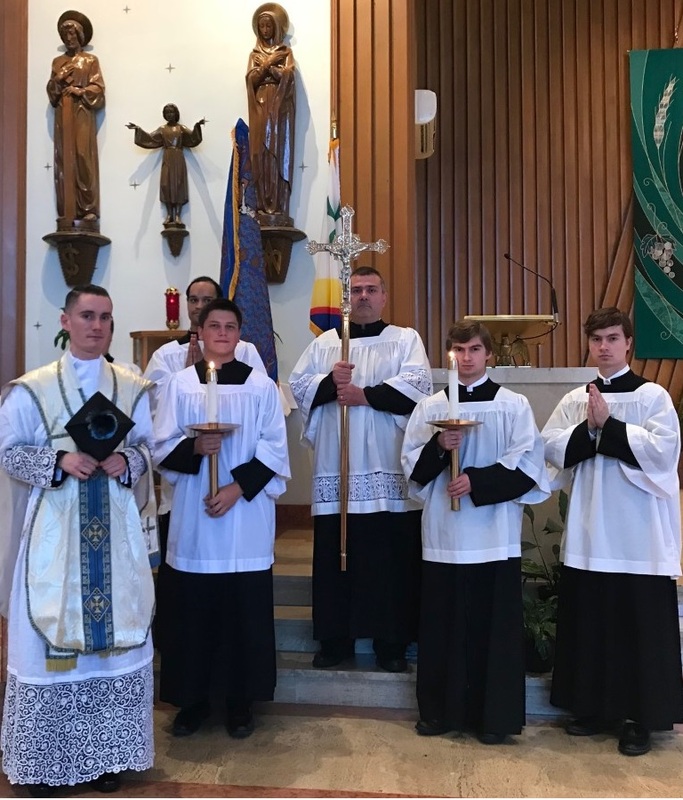 On Sunday, 7 October 2018, the Knights of Columbus Woodlawn Council 2161 Traditional Latin Mass Guild hosted a High Mass at St. Titus Church, Aliquippa, Pennsylvania, to celebrate the Feast of Our Lady of the Holy Rosary and to commemorate the great Catholic victory at the Battle of Lepanto in 1571. Leading the procession before Mass was the Knights of Columbus flag followed by a reproduction of the Holy League flag that flew on the Catholic flagship at the Battle of Lepanto. 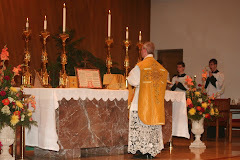 The celebrant was Canon John O'Connor of the Institute of Christ the King Sovereign Priest. 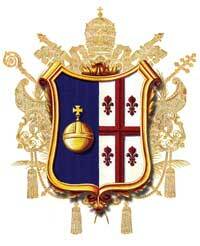 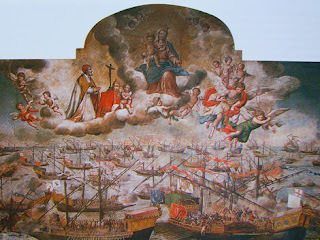 After Mass, Woodlawn Council hosted the Eleventh Annual Battle of Lepanto Dinner. 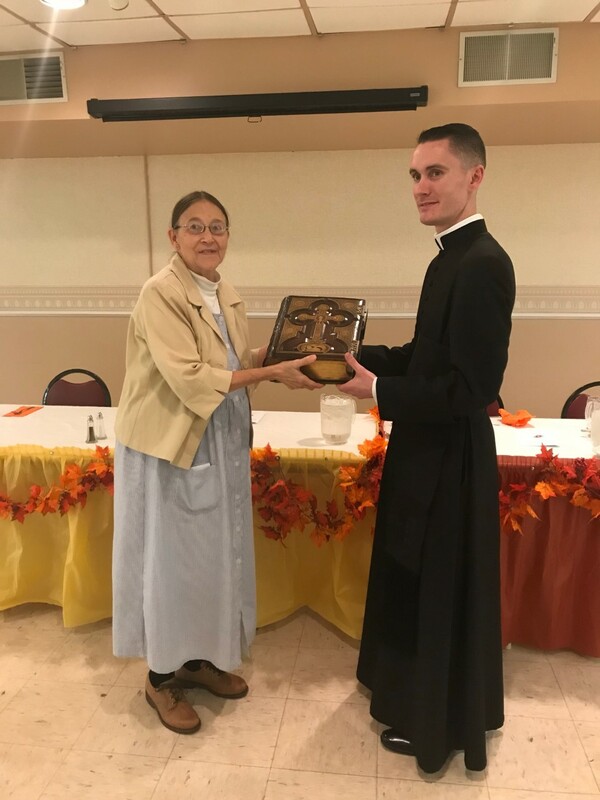 Representatives of the Pittsburgh Latin Mass Community, Inc., presented Canon O'Connor with a $1,000 check for the Institute's seminary and an antique bible for their new rectory in Pittsburgh. 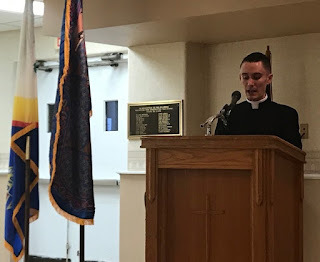 Canon O'Connor was the featured speaker after dinner. 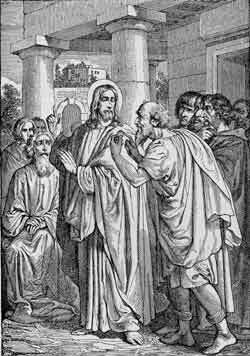 He gave a talk on the spirituality of Saint Francis de Sales, one of the primary patrons of the Institute of Christ the King Sovereign Priest. 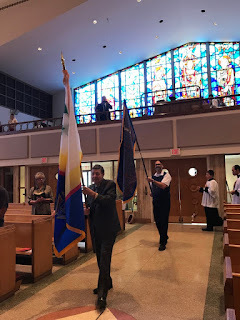 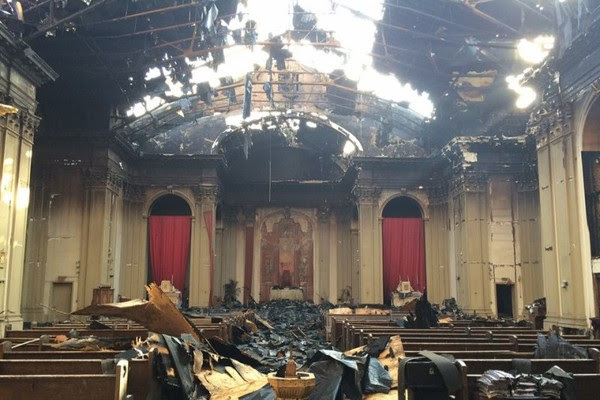 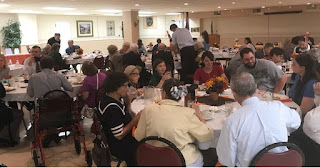 Woodlawn Council also thanks the Pittsburgh Latin Mass Community, Inc., for providing liturgical and logistical support for the Eleventh Annual Battle of Lepanto Mass & Dinner. 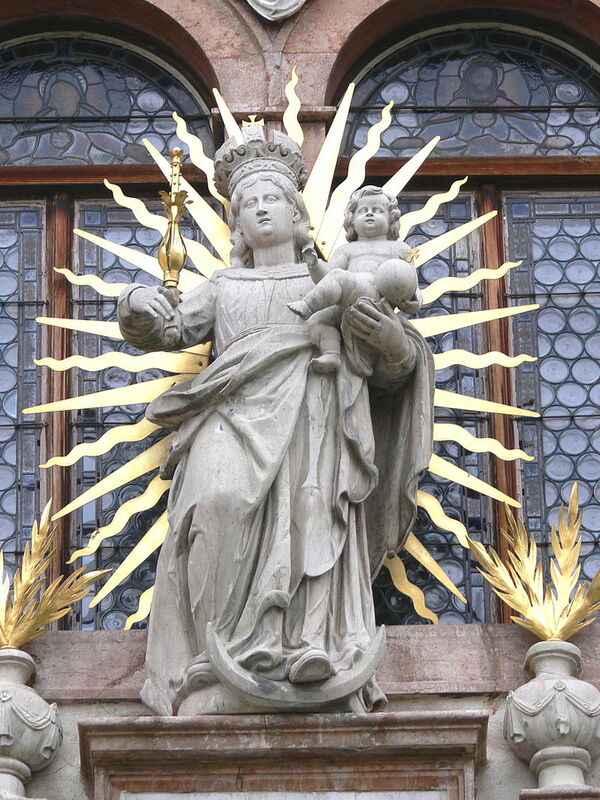 Queen of the Holy Rosary, pray for us. Joining by pre-recorded message, Bishop Athanasius Schneider, ORC - Auxiliary Bishop of the Archdiocese of Mary Most Holy in Astana, Kazakhstan. 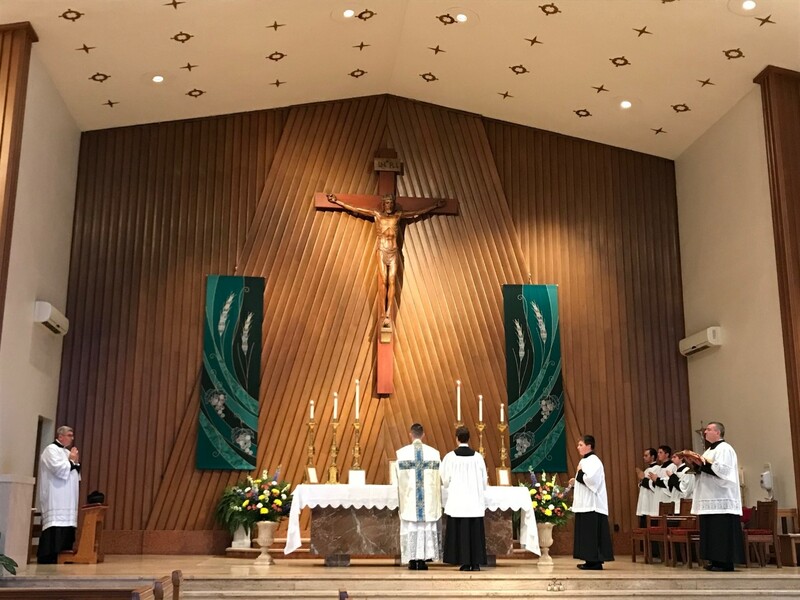 For additional information and to register, visit the Catholic Identity Conference website.